WHITEHAT, Manual , 60+ HIGH AUTHORITY Social Bookmarking, social network profiles, web properties. Over 8 years SEO, freelancing experience. Use our services, our experience with organic ranking, expertise in link building and what works and what doesn’t. Completely safe for google, bing ranking. Google loves these high quality link building. Free indexing for all links after positive review is received. Over 1400 orders completed successfully . Free login details on all orders. All good and safe keeping google updates in mind. PR of these sites will be PR 4, PR5, PR6, PR7, PR8, PR9 , domain authority (DA) of 50 -99. REMEMBER: For good ranking you need fast loading website(preferably vps or dedicated server). Avoid low quality links blasts as they don’t work anymore. I don't do blog comments, image comments, pingback, trackback, guestbook comment or any other such links on TIER1 pointing to your site. 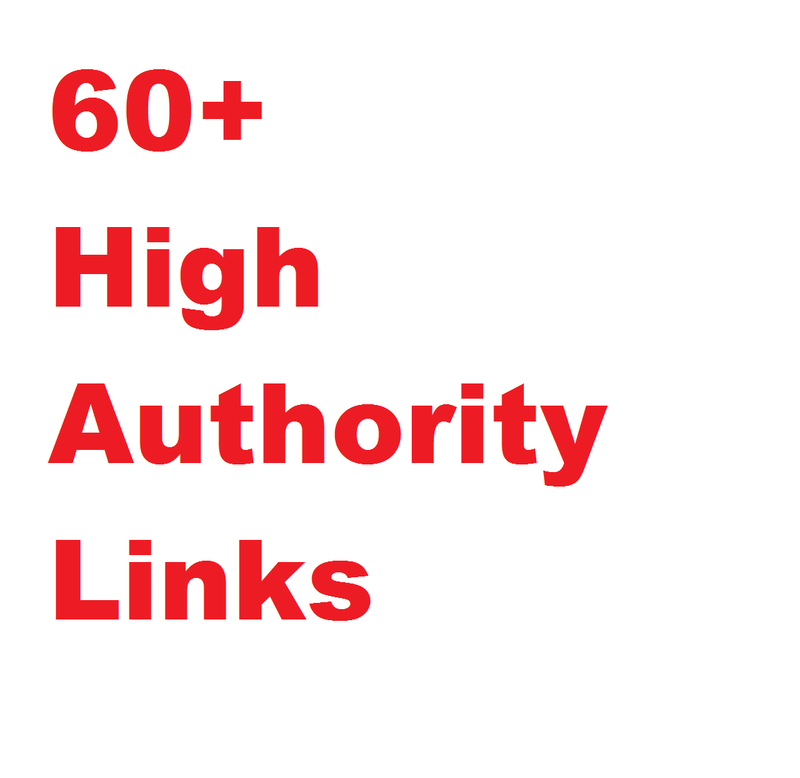 Only high authority links from high authority domains done for TIER1 in this link building service. 3. More than 50 words description. Description that you send will be spun and posted. If you cannot provide description than please select manually written article or 100 words description below in extras. 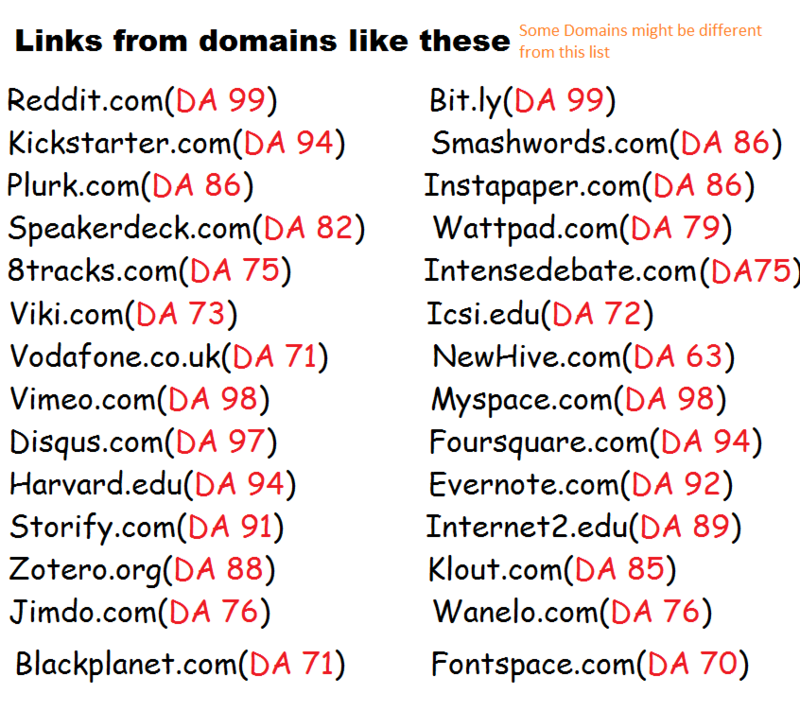 60+ High Authority LINKS, DA 50+ ,Social Bookmarks, profiles, web2.0 PR4 to 9, from 60 domains,seo link building is ranked 5 out of 5. Based on 142 user reviews.